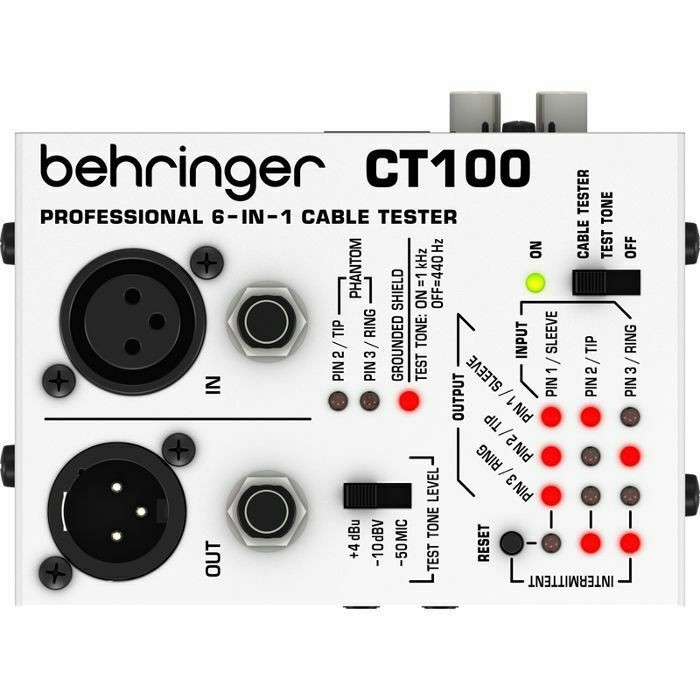 Make sure every cable in your arsenal is in good working order with the invaluable Behringer cable tester CT100. This incredibly portable audio solution is a must-have for sound engineers and musicians alike. 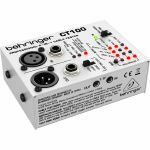 The CT100 accepts every type of cable you might use in a recording or live performance situation: XLR, mono and TRS phone (1/4", 1/8", TT), RCA and even MIDI. Choose from three modes: cable test mode, installed cable tester mode and tone mode. 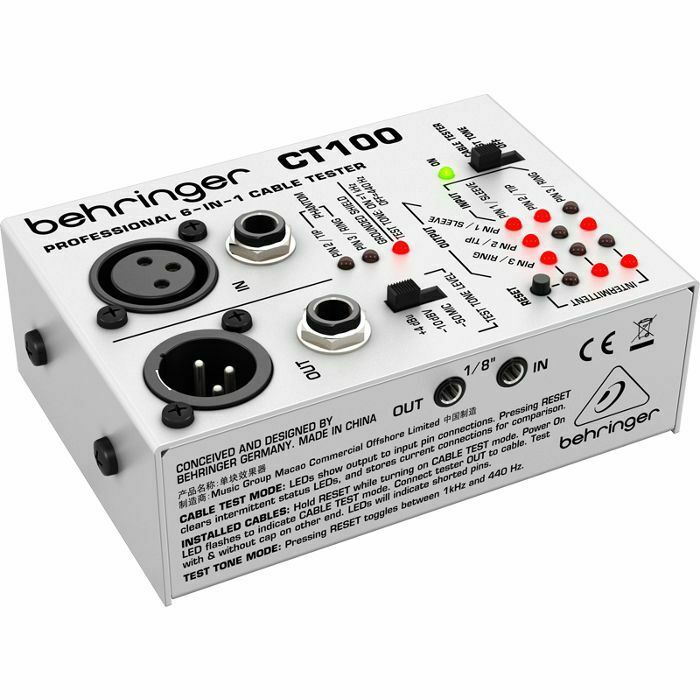 The CT100 can check for continuity, intermittency, phantom power presence and grounded shields. Because this handy tool runs on 2 x AA batteries, you can carry it in your pocket and be ready to troubleshoot at a moment's notice. The cable tester CT100 is the smart, portable and unbelievably affordable way to ensure your next show or recording session runs smoothly.